You are here:Home/School installations/Storm-proof outdoor shelters whatever the weather: gales, rains & sunshine. Storm-proof outdoor shelters whatever the weather: gales, rains & sunshine. Why does it seem that a change in school year, either from December to January, or from July to September coincides with a sudden, and often quite dramatic, change in the weather? How many times have school children broke up for the long summer holiday only to find it pouring down on the first day of the school holidays swiftly followed by baking sunshine when they return in September? Similarly, ‘back to school’ in January is more often than not becoming a time to batten down the hatches from gale force winds and prepare for the inevitable snow disruption. And spare a thought for the poor Headteachers, Site Managers, Business Managers and Bursars who suffer countless sleepless nights worrying about what state they’ll find outdoor school equipment in after a night when, to quote Ted Hughes, ‘this house has been far out at sea all night’. 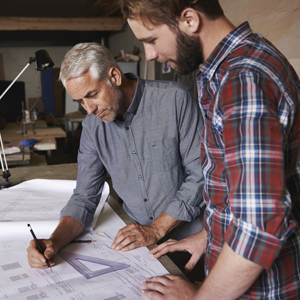 All of these point to one very important thing – the need for schools to have year round sheltered protection from the weather. By year round we mean a permanent outdoor structure that will stand up to hurricane force winds, hold a tonne of snow, keep the underneath area totally dry and protect young people from the sun. Add to this the ability to add temporary walls in order to create an ‘outdoor classroom’ and installation in less than a day, without the need for substantial groundwork, at prices starting below £5,000. 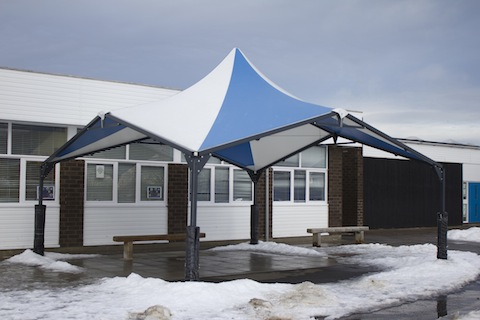 Aquila Shelters has been installing outdoor canopies in schools, colleges, nurseries and universities since 1994 with over 110 installations nationwide and in Europe. In fact, our first ever primary school shelter is still standing after 20 years. So if you’re lacking any of the above outdoor shelter requirements and you want to avoid any more sleepless nights, or even if you’ve had an outdoor shelter damaged by the weather, then please visit our school shelters website and get in touch with us for a free site visit.